A NEW BREED OF WEDDING AND EVENT BAND ENTERTAINMENT!! If your event matters, work with the best and book Stiletto Fire. 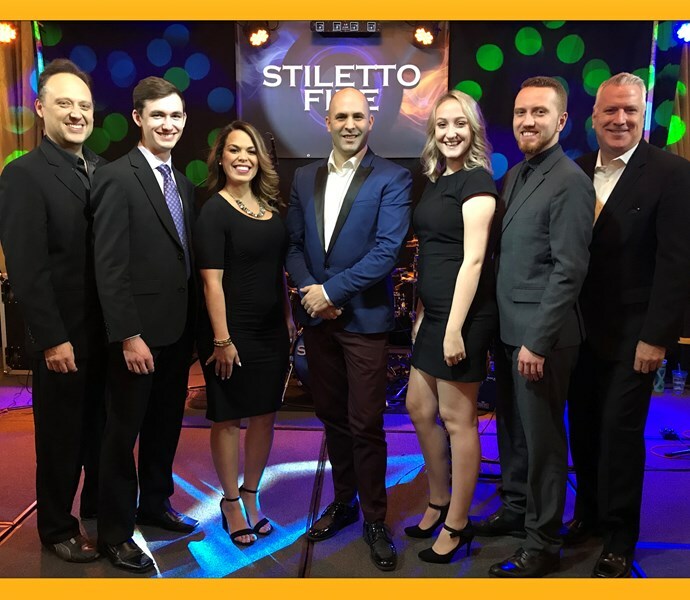 Stiletto Fire is a premium band designed for weddings, festivals, corporate events, and fundraisers. We are an incredible new breed of wedding bands. We have a song list that spans all the age groups and generations. We love getting out on the dance floor to interact with the crowd and to invite people up on the stage with us too! Lastly, for the people who aren't dancers, we have an amazing light show that allows them to just sit back and enjoy the show. OUR REVIEWS SPEAK FOR THEMSELVES - Book us now! Stiletto Fire was an amazing wedding band. They brought so much energy and enthusiasm to our wedding. Jeff Fab was a great MC and was very easy to work with. Everyone of our guests enjoyed them. We would definitely recommend them for a wedding! Jeff and crew are still being talked about after providing the party with great entertainment. I would highly recommend them and have them back again. This group far exceeded my expectations of how good a wedding band could be. From the first phone call from Jeff just a day after I inquired about Stiletto Fire, I could tell this would be an incredibly personalized experience. They were willing to learn any song we requested, they customized songs and accommodated a last minute switch effortlessly. 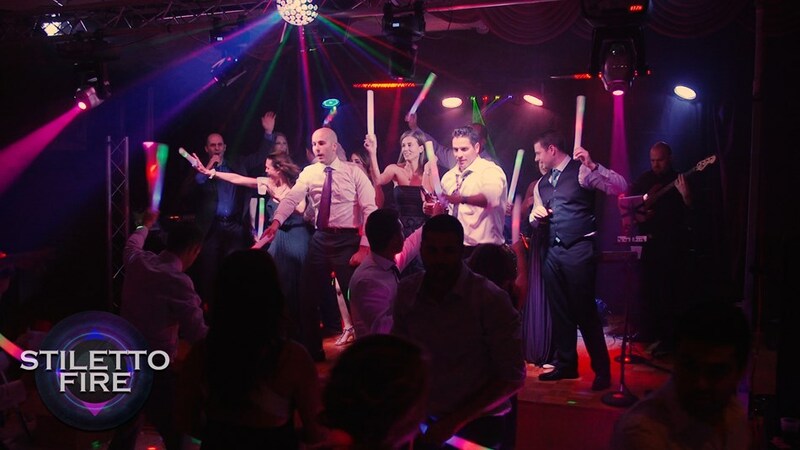 Their entertainment kept the dance floor packed all night and their final songs really ended the night perfectly. Thank you Jeff and team - can’t wait to party with you all again! As a duet they were perfect for our reception. They were very entertaining and talented. Our attendees enjoyed the variety of music they performed. Jeff was great to work with as well. WOW! Thank you for making Saturday night's wedding celebration a most memorable experience for all. The performance went beyond our expectations. Jeff, you were a joy to work with on short notice; a personable, and experienced professional who guided the entire planning and evening's celebration flawlessly right through the final encore. The energy started early and built through the entire evening. The dance floor was NEVER empty. The sight, sound, interaction and emcee'ing was fantastic. You are a true professional and the band a classy and talented group that completely rocked the house. What a presentation! Nothing but praise from our guests. THANK YOU! 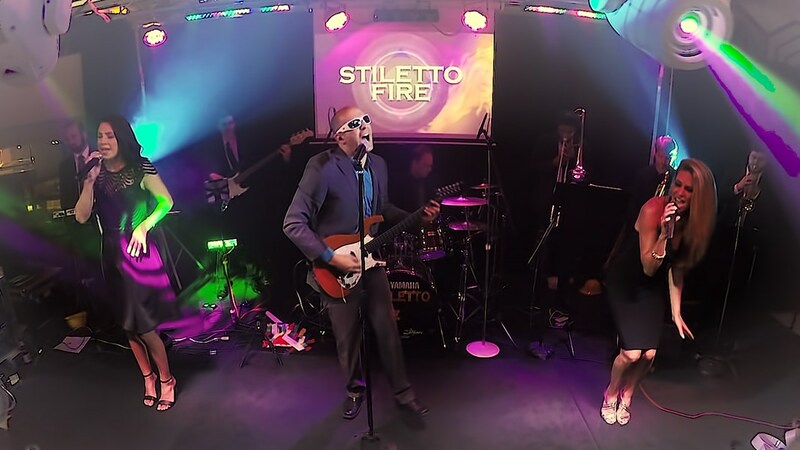 We hired Stiletto Fire for our wedding (ceremony, cocktail hour and reception), and they were fantastic! The ceremony and cocktail jazz music were perfect and everyone had a great time at the reception-- Almost nobody left the party until the band was done playing (~11pm), and all age groups stayed out on the dance floor the entire night, it was amazing! They learned several songs for us, and listened to our preferences for types of music to play. Our friends and family keep telling us how great the band was. Hiring Stiletto Fire was one of the best decisions we made for our wedding, and having them there made the event even more memorable for everyone who attended! We had Jeff and Kerri play our small backyard wedding in Western Michigan last weekend. I cannot overstate how great they were. There were points in the night when I stopped dancing just to watch them perform. Kerri's voice was literally jaw-dropping and Jeff's guitar solos were incredible. On top of their talent, they were such a pleasure to work with! They thought of everything and were just kind people. We give them our highest recommendation. Please note Stiletto Fire will also travel to Hamtramck, Dearborn, WINDSOR, Hazel Park, Warren, Ferndale, Grosse Pointe Park, Melvindale, Pleasant Ridge, River Rouge, Center Line, Drayton Plains, Harper Woods, Oak Park, Royal Oak, Eastpointe, Ecorse, Grosse Pointe Woods, Huntington Woods, Madison Heights, Allen Park, Berkley, Dearborn Heights, Lincoln Park, Southfield, OLDCASTLE, Redford, Roseville, Saint Clair Shores, Walled Lake.